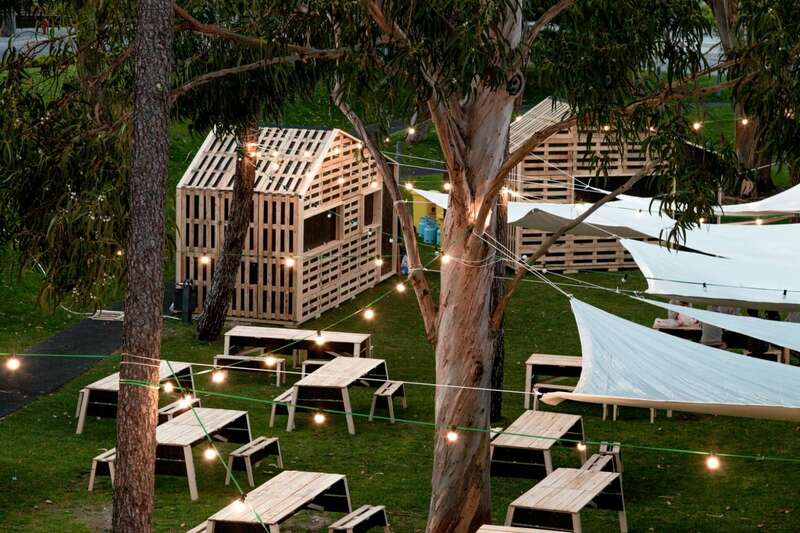 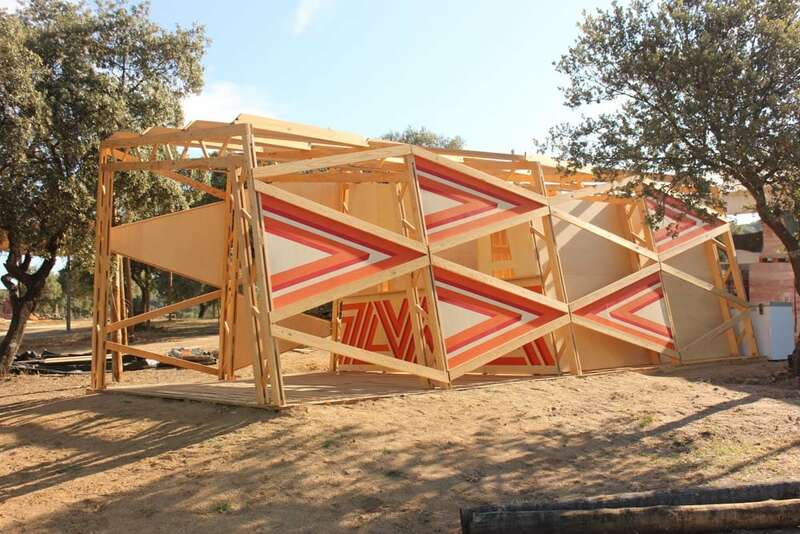 Colectivo Warehouse was invited to do 4 new projects for Boom Festival 2018 edition. 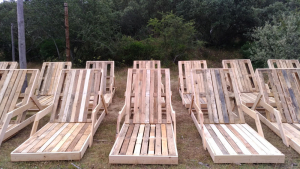 The Funky Sun Lounger associates an industrial aspect with a summer environment through the reuse of euro pallets. 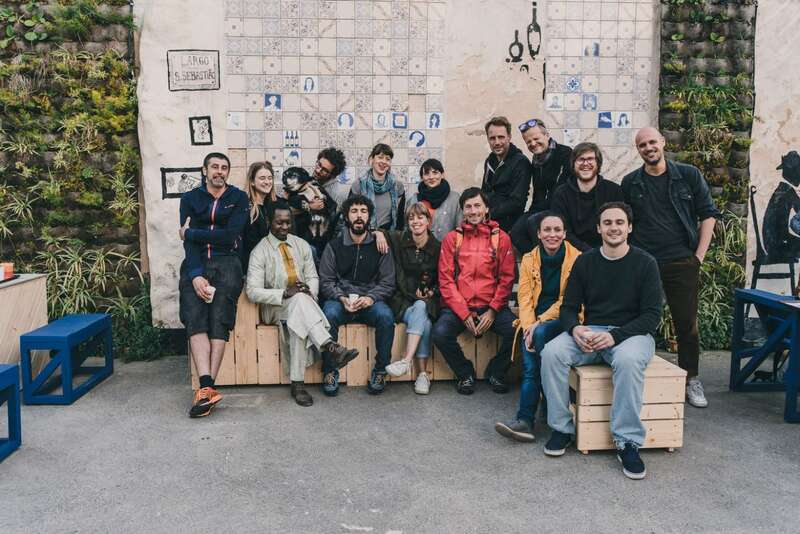 Tutoring and co-creation of different artistic installations based on visits to informal settlements in Lisbon. CityToolBox.net is an online platform for the dissemination and sharing of open-source tools for urban transformation and appropriation. 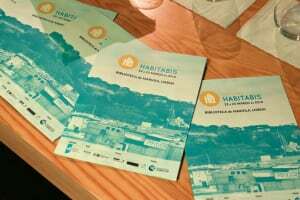 Habitabis Festival is a collaboration tool based on festival format, which addresses the themes of rehousing and social housing. 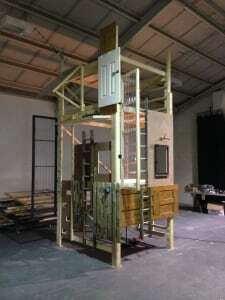 Design and building of a scenario for an interactive theatre performance created by emigrant and British artists. 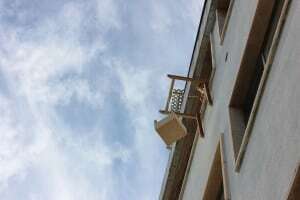 Field visit to meet communities of the Syunik Region - Tatev, Svarants and Tandzatap. 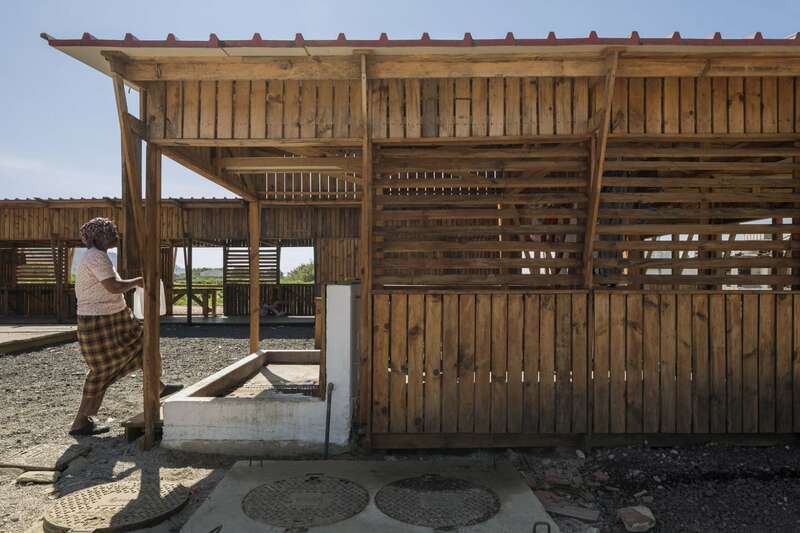 The project aims to rehabilitate a community building. 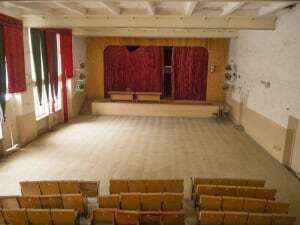 Rehabilitation of an old abandoned primary school to install the new headquarters of AVIPG. 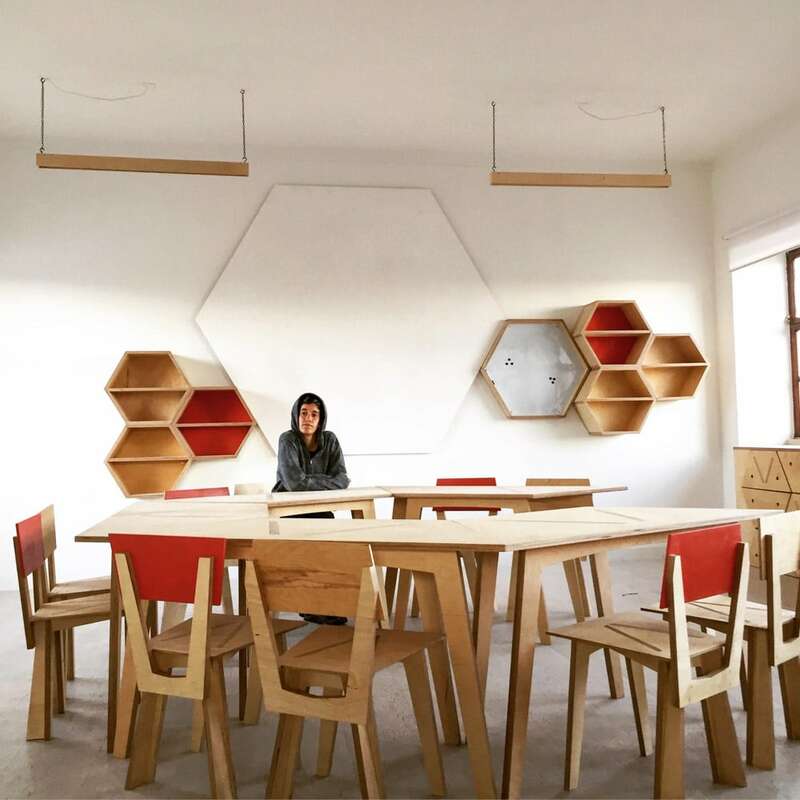 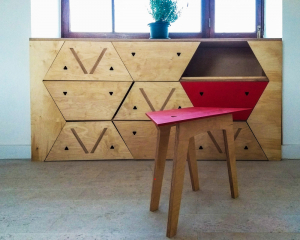 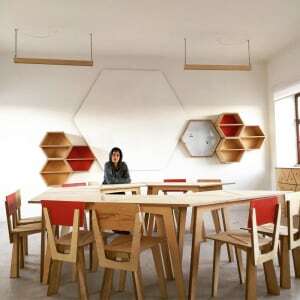 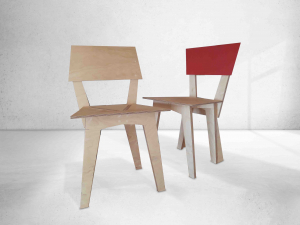 The shape of the Pedrógão Chair is born from the analogy of collaborative work of bees with the cohesion of the community. 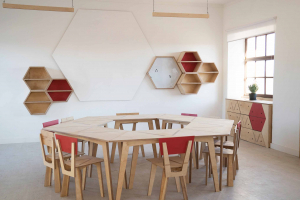 The trapezoidal shape of the Pedrógão Table allows multiple combinations and provides different uses of space. 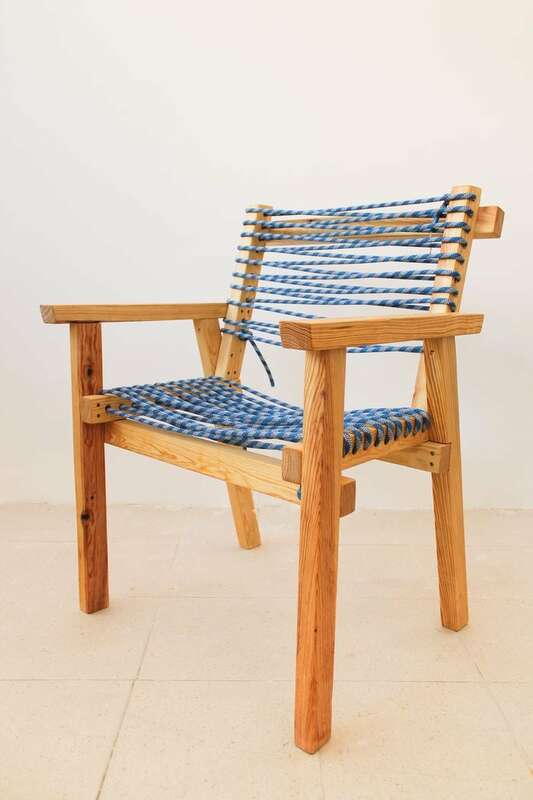 The Pedrógão Bench was created to enable meetings of the AVIPG Association and local assemblies with many participants.